WordPress is the leading open source content management system. Since it was introduced, millions of WordPress have been developed by independent developers as well as companies specializing in WordPress theme development. For a new WordPress blog, website or ecommerce site owner, one of the main decisions to make before launching a new site is what type of theme to use. You’ll need to decide whether to use free WordPress themes or premium WordPress themes. This guide will look at the advantages and disadvantages of both. It will also suggest instances where you should use either WordPress free themes or premium WordPress templates. These themes are usually developed by independent developers who want to showcase and market their skills. They are designed to cater for different WordPress site models like blogs and ecommerce sites. In an age where web development is focusing on mobile first websites, it’s also easy to find free responsive WordPress themes. The main advantage of the free professional WordPress themes is that you don’t have to pay to use them. All you need to do is to download and install them onto your WordPress website. Another advantage is that there are thousands of themes to choose from. It’s therefore quite easy to find a free theme that matches your website’s needs. Finally, it’s also easy to find a responsive free WordPress theme today. 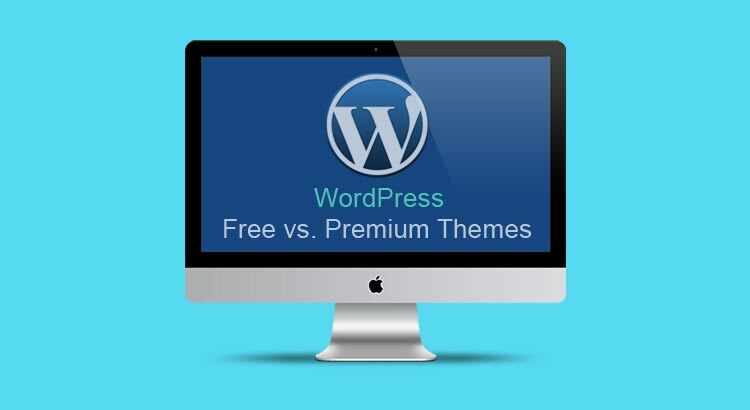 Wp free themes have a number of disadvantages. One disadvantage is that most lack many features found in the premium themes. In many instances, you might have to pay the theme developer to have the additional features added. This is what makes most people agree that free Wp theme templates aren’t actually free. Compatibility issues are another main disadvantage. You might find a free theme that you like. However, it might not be compatible with some of the plugins and widgets you want to install onto it. Another disadvantage of the free themes is that most don’t have updates. Being an open source platform, WordPress is constantly changing. You’ll want a theme that’s regularly updated in response to any future changes made to the WordPress platform. So when should you use free WordPress themes templates? Your online business model isn’t focused on scalability or growth. For example, if your creating a small informational site that will generate revenue from Adsense. The free theme developer offers to update the theme in the future. The free theme meets your business’ requirements. These are mainly developed by companies that deal exclusively with WordPress development. These companies employ WordPress designers who not only develop the themes but are also actively developing the WordPress platform. Premium WordPress templates are used by some of the worlds leading blogs and ecommerce websites. One advantage of using premium WordPress templates is that they are highly secure. WordPress premium templates developers will usually create their templates based on the current WordPress version with a focus on security issues. If your WordPress site has a security issue, the developer is at hand to solve it. Such support is rarely provided by free templates developers. Another advantage about premium Wp templates is that they are regularly updated. This comes in handy when you want to change from an earlier WordPress version to a new one. It’s easy to update your whole site with just a few clicks without changing the look and feel of your site. The best premium themes are also highly customizable. Once you purchase the theme, you can hire a professional WordPress developer to make customizations so that your new site looks and matches your brand. These themes are also designed to support majority of the WordPress plugins and widgets. The major disadvantage of premium wp templates is that they tend to be expensive. To use the theme on your site, you’ll have to purchase it. You can also hire a professional developer to create a unique WordPress theme. This is usually more expensive than buying the premium off-the shelf themes. When should you use premium Wp themes? If your budget allows investing in a premium theme. If your business model is focused on building a reputable online brand. For example, if you’re building an ecommerce site or an authority blog. If you want a theme that’s scalable and easily customizable. WordPress has made it possible to build a new website without having to learn how to code or hire an expensive developer. All you need is a little knowledge about the platform and a high quality theme. The type of theme you choose will determine how easy it is to customize and brand your website. Free themes are great although they have limitations such as customizability, updates and security. On the other hand, premium templates might be expensive but are your best bet if you want to builds a brand-able WordPress website.